New Moons begin when the Sun and Moon merge, blending the masculine and feminine, rational and irrational. This luminary coniunctio (union of opposites) ushers in a fresh cycle of fertile energy. 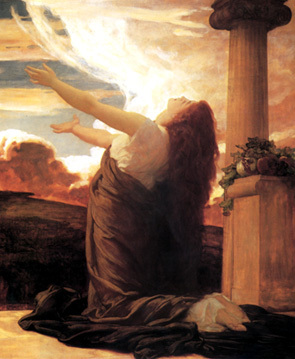 But with martial energies added into the mixture this month, your creative pulse will throb with a new passion for glory. Whether your passions lead you to embody courage or malice all depends upon the strength of your integrity. The sign of Leo is associated with the artful development of persona and creative self-expression. Thus, each Leo season is a time for refining and making improvements to one’s character. Sometimes your character is improved by experiences of exuberant joy and ecstatic bliss. But often your character is shaped by conflict and confrontation with your own pettiness and self-deceit. Considering that Mars is conjunct this New Moon, still separating from its square with volatile Uranus, it is safe to suppose that you may experience a confrontation with some of your pretensions. 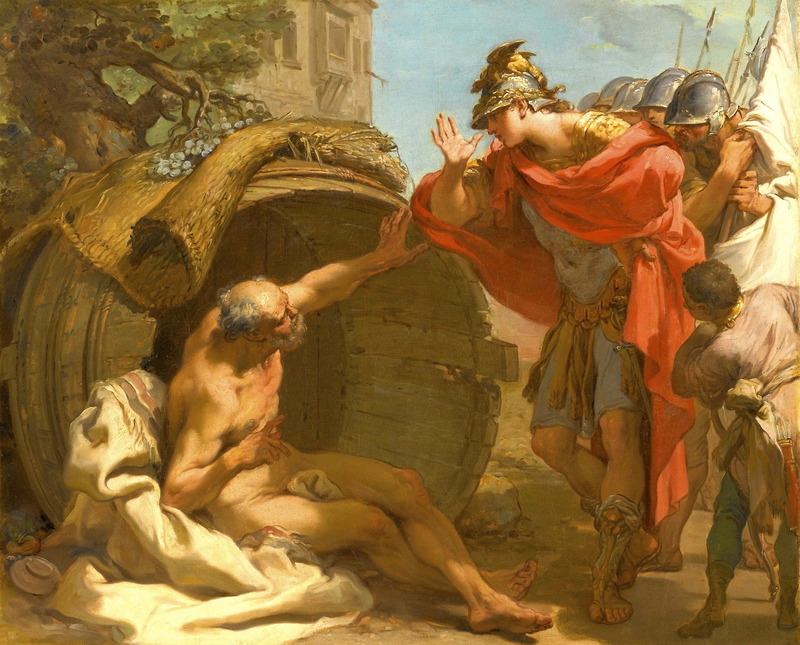 To better understand how you might best navigate this New Moon’s uncomfortable moments of self-illumination, consider the classic apocryphal story about when Alexander the Great met Diogenes the Cynic. But to understand this coniunctio of legendary figures, their characters must be briefly examined. The humor and the joy of this story comes from the fact that Diogenes was totally unimpressed by the radiance of Alexander, son of Zeus. In response to Alexander’s flattery, Diogenes was completely non-plussed. Instead, his only response was disdain for whoever it was that was blocking his sunlight.